When it comes to sparring practice, you can only do so much on your own. 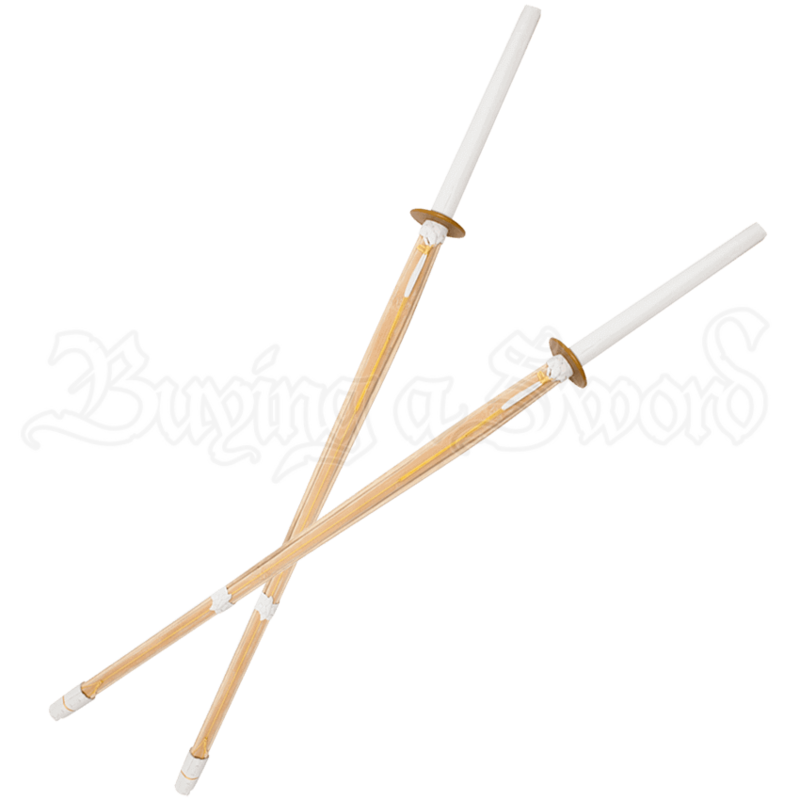 With the Kendo Bamboo Shinai Set, you will now be equipped to train with a partner. Use these practice weapons while perfecting your martial arts skills. Each sword in this set of two is constructed from four split pieces of bamboo, making them both lightweight and durable as well as much more harmless than a metal sword when it comes to combat. The bamboo pieces are bound at the hilt, a third of the way down, and at the tip, ensuring sturdiness. The handle is wrapped in a soft white faux leather, lending them their classic look.